Renting a home, or putting a home up for rent, is a big step in your life. One of the bigger steps you will ever make. This is the place you will raise your family, sleep, keep beautiful, and have truly made your “home.” Or a place others will do so. As you are looking for home for sale in Idaho, the best place, as a renter, to look is with an agent here at The Group Real Estate. Idaho Falls Real Estate is booming and we are right at the head of it all. Realtor com Idaho is a place to start your real estate Idaho falls search, but make sure if you are in the need to rent, wanting to move forward with this decision can be very difficult. As you look through the Zillow markets and the Zillow agents, you will see so many of our agents pop up for you, showcasing the strong case that we can make to help you get your home rented and still make sure you are treated right and get the most out of the entire process. 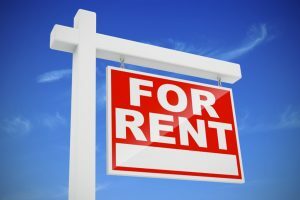 Renting your home, or renting out a property, is not an easy task, and that is okay. That is why we specialize in helping you be in the best position to rent your home. The median age of today’s renter is thirty two years old and most make less than fifty thousand and forty eight percent of them are single, although they usually live with other people. This is about seventy eight percent of renters. Apartments are the most popular home type for renters and nearly sixty five percent seek them out, while forty nine percent actually chose an apartment. Over twenty eight percent rent a single family home. To which half of them consider buying a home instead. Renters take around 2.5 months, on average, searching for their new home. Most renters are usually renting while they are looking to purchase their first home. Eighty three percent of renters use online tools to pay their rent and make sure their financing is in order, while 53 percent go the route of paying rent in person. More than half of all renters, ranging around fifty seven percent, had a rent increase impact their decision to move. Renters cast a wide net and submit about 2.5 applications on average when searching for their new home. Renters expect responses from potential landlords and property managers within a day or less. Almost thirty two percent of renters encounter difficulties trying to determine whether a rental listing is true to form or a fraud. Seventy percent of renters are satisfied with the process of searching for their new rental home to live in. These are just a few numbers and facts to get you started. As you look into renting your home, please take into consideration some of these exact things, options and notions. This is a big step, but know that it is a great, and wonderful, step to be taking with an agent. When it comes to taking these steps, you want to be ready! As you do that, that is why I wanted to point out these little facts for you. Happy home renting to you all.